James Finnigan and his Florida Tech Men's Tennis teammates fought hard but caught some tough breaks as the team fell to Bluefield State 6 - 1. 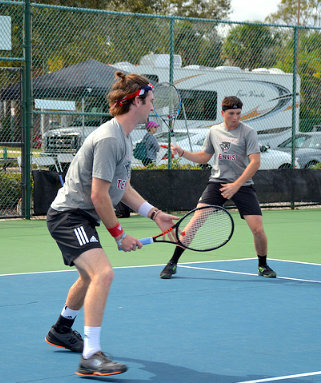 The doubles portion of the contest did not go in favor of Florida Tech as they fell in all three flights. JJ Clark and Finnigan put together the strong fight in the top-billed doubles match but loss 6-2. The Singles had more action packed battles such as the three-set heartbreaker for Finnigan in the first singles flight.